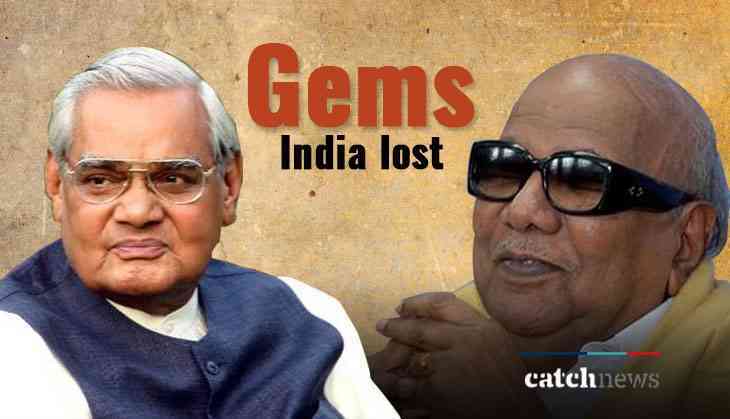 Home » National News » Late Ex-PM Atal Bihari Vajpayee to DMK chief Karunanidhi, list of gems that India lost in August will make you emotional! Late Ex-PM Atal Bihari Vajpayee to DMK chief Karunanidhi, list of gems that India lost in August will make you emotional! India is shattered by the loss of its 'Ratna' former Prime Minister and veteran leader Atal Bihari Vajpayee. 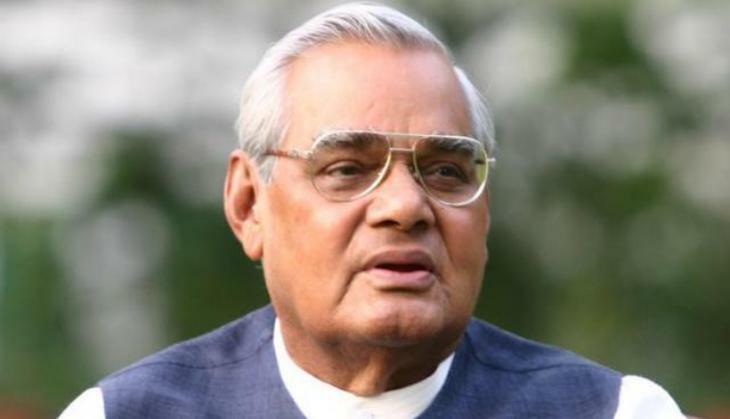 Former Prime Minister Atal Bihari Vajpayee passed away at the age of 93 at AIIMS hospital in Delhi on 16th August. Seven-day mourning across India till August 22 for Former Prime Minister Atal Bihari Vajpayee was announced. The earlier country had also lost it on the e of the popular political leader and DMK chief Karunanidhi, a five-time chief minister of Tamil Nadu. A veteran leader breathes his last at Kauvery hospital after a prolonged illness. Sadly, Within a month the country has lost several iconic leader and personality that has left people in a shock. Here is the list of the gems, who are not anymore with us. Bhishma Narain Singh, 85, Indian politician, Governor of Assam (1984–1989) and Tamil Nadu (1991–1993). Umbayee, 66, Ian ndian ghazal singer, cancer. R. K. Dhawan, 81, Indian politician. Somnath Chatterjee, 89, Indian politician, Speaker of the Lok Sabha (2004–2009), multiple organ failure. Balram Das Tandon, 90, Indian politician, Governor of Chhattisgarh. Chemmanam Chacko, 92, Indian poet. Kuldip Nayar, 95, Indian journalist (The Statesman), human rights activist and politician.